My history with the brioche ice cream sandwich is lengthy. Since its premiere a few years ago in Epcot's France pavilion, I have wanted it. It even appears on my WDW to-eat list from April of 2014. That's how far back this goes. And yet somehow, in the FIVE trips I took between then and November 2016, I had never managed to take that first bite. Often it was because I was far too busy enjoying the ephemeral delights of the Food & Wine Festival. Occasionally I just plain wasn't feeling it at the time - insufficient hunger, or too much of a chill in the air for ice cream. So we passed and passed, as those proverbial ships in the night. I feared it would happen again this past trip, despite my determination to eat it once and for all, as the weather was decidedly nippy. But things warmed up the final day, and I was hungry. The time had come. If you read my trip report for the day, you already know I specifically did an Epcot drive-by to make this my lunch. I walked into the store and paused inside the archway to read the flavor assortment, narrowing my selections to two. He was so emphatic about the salted caramel that I didn't even bother to ask about other alternatives. I accepted his verdict with chocolate sauce and headed down to the pickup area. 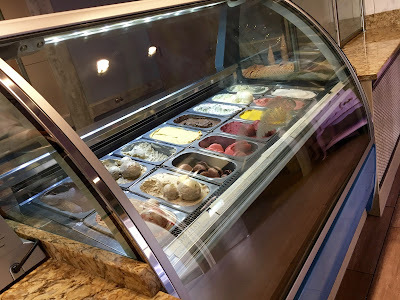 The ice cream tubs and brioche press are right there, and I was able to watch the CM make my treat, scooping up a ball of ice cream, placing it in the brioche bun, pouring chocolate sauce over top, and squishing the whole thing together in the press. The buns congealed at the edges, with little curls of the chocolate peeking out. It wasn't the most photogenic food item I'd ever eaten, but it's of course the taste that counts. My verdict? Totally worth it. The brioche is just sweet enough, with a soft, yielding chew, and the heat of the press melts the chocolate syrup into the soft innards to make crackling chocolate marbling. The weak point was, surprisingly, the ice cream. For all that the CM was super into salted caramel, I found the flavor weak against the strength of the chocolate. It's probably delightfully delicate alone, but I think the brioche ice cream sandwich requires a strong flavor to stand up to its competition. I'll have to try a different combination next time. 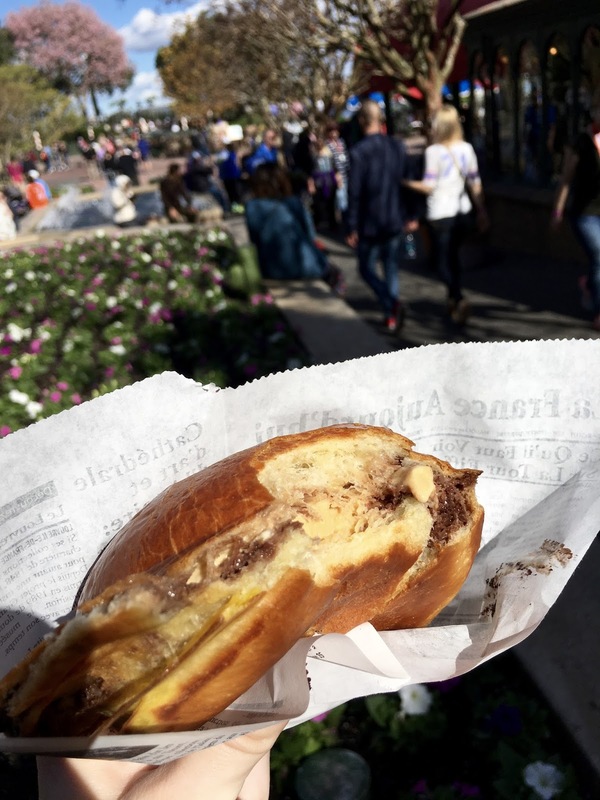 Have you had a brioche ice cream sandwich? What did you think? I love everything at this ice cream place. The brioche is good, my husband loves it, but I think the maracron ice cream sandwich is my favorite.